One of the advantages of using ThinkOut is that you can immediately have an overview of your cash flow situation. The graphs in the Analytics section point out, in a glance, what you can leverage and when. You don’t need to spend time and energy thinking how to turn those transaction values into charts and what type of chart would tell you what you need to know. We designed ThinkOut to automatically generate them, so you can find those overviews already in the Analytics section. Let’s take a walk through these colorful charts and see how they can help your business. Cash flow summary. This is the first type of visualization of your business cash flow. The name says it pretty clear – it shows the evolution of the cash in the chosen cash plan by Income and Expenses. More exactly, you can see how much Income and Expenses the company generated each month. It allows comparison, so you can immediately tell in which months your expenses exceeded the income or which are the months with really low revenue when you need to push sales or reduce costs. The red line shows the evolution of profit. The second type of ThinkOut Analytics is Structure per Category for Income and Expenses. This is a deeper view into the revenue stream. It reveals how much the revenue and payment categories weigh in the total amounts. This type of view helps deciding which revenue/expense stream brings in/draws out more cash in which month; by visualizing how these categories are distributed in relation to each other and to the total amount, you can further plan projects, decide which ones are financially efficient or which costs weigh too much and need to be diminished. It becomes clearer which activities bring in more money and need to be further supported, and which ones could be a loss of resources. The same goes for Expenses: which resources/activities cost the most and what you can do about it. This structure can be visualized either as stacked area chart, as stream or expanded, as percentage of the total. The third category of ThinkOut Analytics is Variation per Category for Income and Expenses. These column type charts reveal how each category of Income or Expenses varied in time, from month to month. By analyzing them you get a good idea of what measures you need to take in order to keep the balance between business earnings and costs. For instance, there may be months when operations income is very low, while office expenses are high, even higher than recurrent income. It becomes clear that during those months the cash flow will turn out to be negative. One option is to do your best to increase the operations cash inflow (either by finding new projects and getting an advance payment or by motivating existing clients to pay for what you have already invoiced and not yet cashed in). The other option is to reduce those high costs. No matter which one you apply (or maybe both), once you have understood the exact source of the cash flow imbalance, solutions will come to you loud and clear. The fourth type of ThinkOut Analytics is the Drilldown for Income and Expenses. The Drilldown is the deepest visualization ThinkOut offers for each cash flow stream: Income and Expenses. Starting from the total amount, the chart reveals, like the circles of a tree trunk, the in-depth structure of each category. You can go as in detail as you organized your cash plan and see ”the dimension” of income from Project A in relation to the other revenue sources. The same applies to Expenses Drilldown: it makes it clear how much taxes for salaries represent as part of the total amount of taxes, as well as in relation to other tax categories (e.g. income). Or salaries – you can analyze how much the salary of an employee weighs in the total amount of salaries and in relation to the others’. Why is it helpful? Because you get a better understanding of what project generates how much cash and how the money is spent. It helps you decide whether a project is worth the effort compared to other sources of revenue and if you need to cut costs, from where to start. 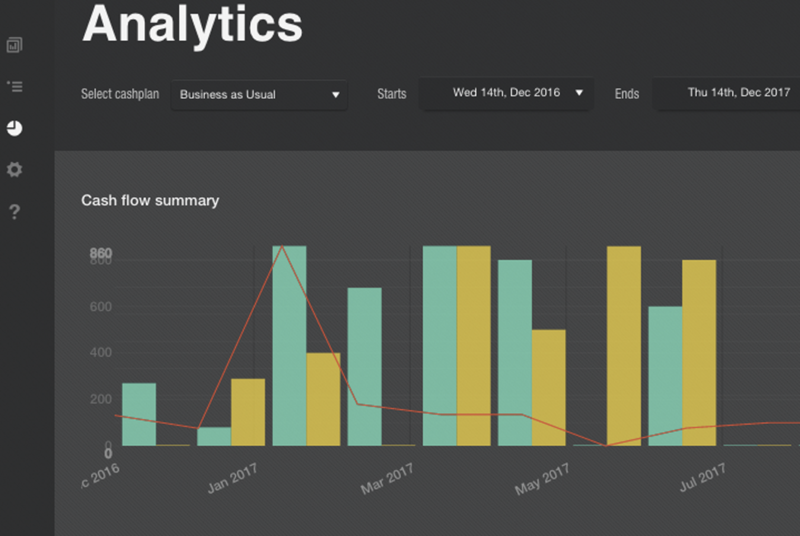 The truth is that no matter how much we describe the functionality of ThinkOut Analytics, the best way to figure out how it is good for the business is to try it yourself. So go ahead, take a spin and tell us how it helped you.